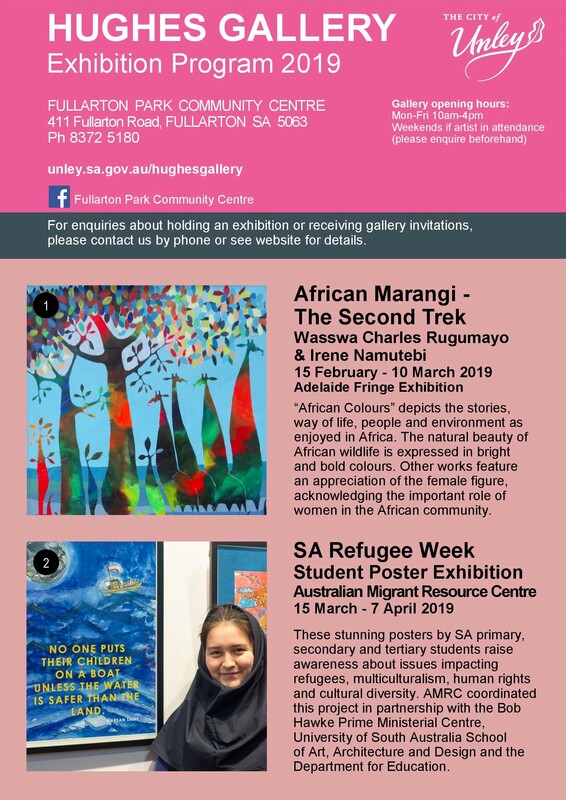 Exhibiting now at the Barossa Regional Gallery are stunning and vibrant artworks from South Australian students from primary, secondary and tertiary institutions, who participated in the SA Refugee Week 2018 Youth Poster project. Check out the exhibition, which will remain until the end of February 2019. Our Student Poster Exhibition will continue touring, with its next destination scheduled in mid-March 2019 at Hughes Gallery. Check out the exhibition program below for details.